Ireland currently contains around six hundred thousand people facing poverty. It is also one of the most wasteful European countries, with around one million tons of food wasted per year. In fact, Ireland is even ranked as the fifth most wasteful country in the European Union for food. At least, these are the numbers reported by FoodCloud. 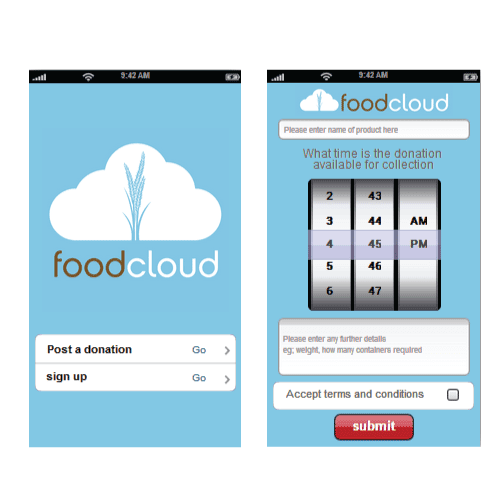 FoodCloud is an Irish nonprofit organization that connects businesses with a surplus of food, such as from shops and restaurants, with charity organizations. These charities then redistribute the food throughout the Irish community. This is all achieved through a cloud based application. Businesses are able to use the app to let charities know that they have a surplus, and charities in turn are given the opportunity to accept or reject the donation based on certain criteria. These could be anything from the lack of demand for that certain product, product freshness or availability of drivers to collect the food. If a charity rejects a donation, the app sends a message to other charities that may find the donation of interest. FoodCloud was born out of a student project from Trinity College in Dublin called ‘Food Glorious Food,’ with the same mission. FoodCloud co-founder Iseult Ward graduated Trinity College in Business and Economics having won Trinity’s Business student of the Year 2013 for ‘Food Glorious Food,’ and has committed to making FoodCloud a success. To date FoodCloud has redistributed over 5 tons of food, the equivalent of 13,000 meals to its network of 35 charities in Dublin City Centre, and Drogheda. FoodCloud has also won the Arthur Guinness Projects. Is Google Slowly Inching Into Our Homes?